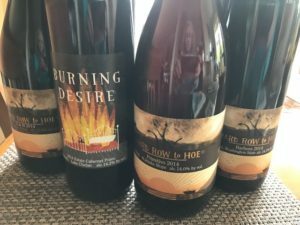 Hard Row to Hoe - Wine with a Story - Write for Wine: It's Wine O'Clock Somewhere!Write for Wine: It's Wine O'Clock Somewhere! 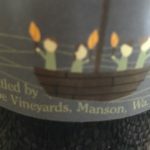 This entry was posted in Barbera, Cabernet Franc, Lake Chelan Valley, Malbec, Primitivo, Syrah, Washington, Wine and tagged Barbera, Cab Franc, estate wine, Hard Row to Hoe, Lake Chelan, Lake Chelan Valley, Malbec, Syrah, Washington wine, Washington wineries, wine, wineries by Margot. Bookmark the permalink.